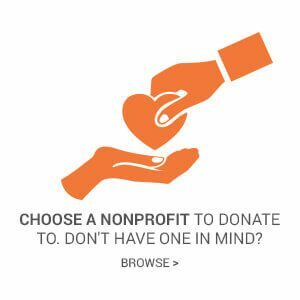 Donate your car, truck, motorcycle, RV, camper, or boat to support the National Council of The Society of Saint Vincent de Paul USA (SVdP) charity that you love. 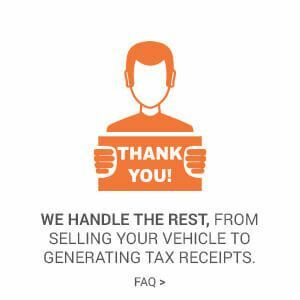 We make it easy to donate your vehicle to support the cause you believe in. 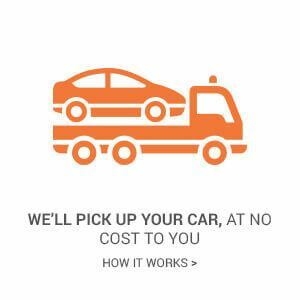 Simply complete the online vehicle donation form below and we'll reach out to you to finalize the process and arrange for your car to be picked-up, at no cost to you. You may qualify for a tax deduction while supporting a great cause! Donate your vehicle and make a difference for SVdP. Our helpful customer service team is here 7 days a week to help you through the process. The National Council of The Society of Saint Vincent de Paul USA (SVdP) has nearly 100,000 trained volunteers in the United States and provided 17.9 million hours of volunteer service in 2015, helping more than 23 million people through visits to homes, prisons and hospitals at a value of nearly $1 billion dollars. Our vehicle donation program allows you to donate your car to support National Council of The Society of Saint Vincent de Paul® USA and the cause you believe in. SVdP's mission is inspired by Gospel values, the Society of St. Vincent de Paul, a Catholic lay organization, leads women and men to join together to grow spiritually by offering person-to-person service to those who are needy and suffering in the tradition of our founder, Blessed Frédéric Ozanam, and patron, St. Vincent de Paul. The Society has two aims: to do a great deal of spiritual good to our members through the exercise of charity, and to do a little spiritual and temporal good to a few poor families in the name of Jesus Christ. Donate a car to St. Vincent de Paul, your help provides direct help to the poor in the local communities throughout the United States. Each vehicle donation helps SVdP continue our mission by offering person-to-person service to those who are needy and suffering. Donate your car, truck, boat, motorcycle, or RV and help make a difference today! All vehicles are considered, running or not. This is the car I learned to drive in, and it holds a very special place in my heart and memories. I couldn't bring myself to sell it. Donating it was the best way for me to let the car go knowing that it would go to a good cause. I hope it serves you as well as it served me for the past 8 years. I'm gratified to learn that my donation actually resulted in a significant benefit to the nonprofit. My car needed a simple repair and I was already considering donating the car as a lifestyle change toward using bike and public transport. Seems like the right time to donate the car and help the environment.